Flower FormSingle, 3-inch, trumpet shaped apricot flowers. ColorFlowers have shades of apricot and peach. BloomsEarly summer, and again in late summer to early fall. 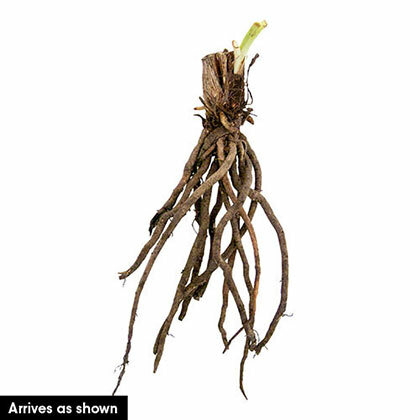 PruningAfter flowering, remove spent blooms to maintain attractive appearance. 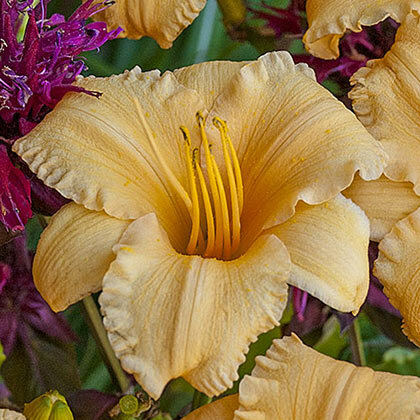 CommentsThis smaller daylily produces a large number of blooms! 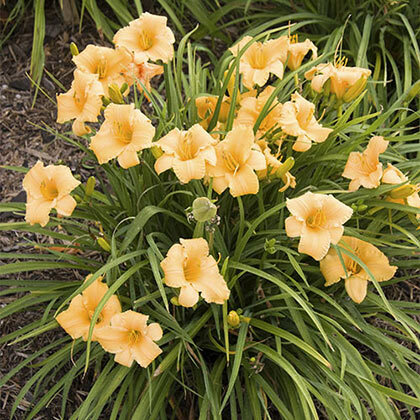 Its size makes it perfect for the front of the border and containers. Diamond-dusted, apricot blooms sparkle in the sunlight, adding unique color to the landscape. Upright, grass-like foliage adds texture to the garden. Butterflies love it! Drought tolerant. DepthDig a hole large enough to spread the roots without bending them. The area where the top of the plant meets the roots should be at ground level.